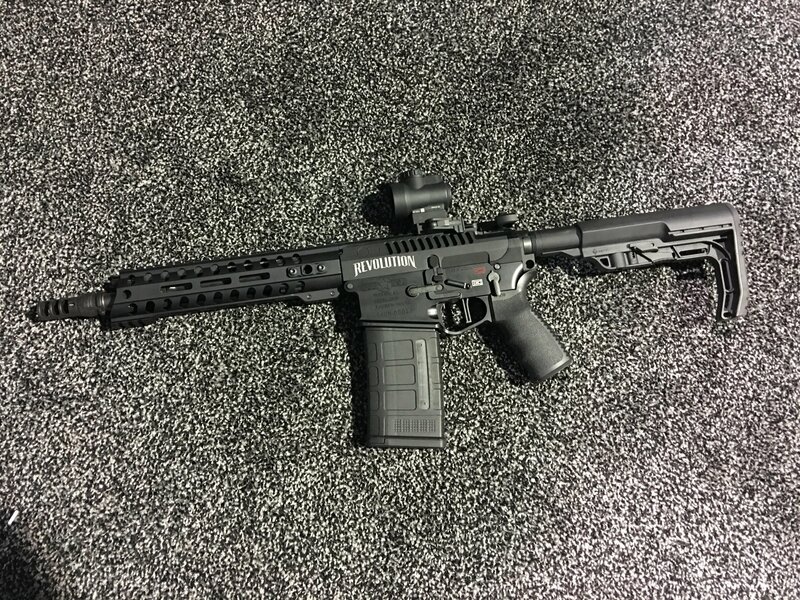 Suppressed Patriot Ordnance Factory (POF-USA) Revolution 10.5″ Tactical Piston AR SBR (Short Barreled Rifle) Fires Subsonic 7.62x51mm NATO/.308 Win. Ammo Reliably at the Range! (Video!) | DefenseReview.com (DR): An online tactical technology and military defense technology magazine with particular focus on the latest and greatest tactical firearms news (tactical gun news), tactical gear news and tactical shooting news. 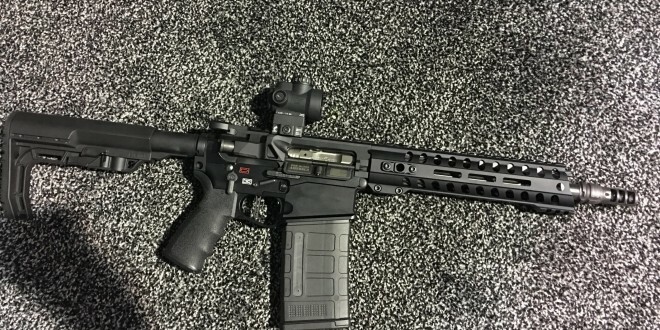 Patriot Ordnance Factory (POF-USA) president/CEO Frank DeSomma recently sent DefenseReview (DR) a video clip (see below) showing him demonstrating a suppressed POF-USA Revolution 10.5″ tactical piston/op-rod AR SBR (Short Barreled Rifle) being fired with subsonic 7.62mm NATO (7.62x51mm NATO)/.308 Win. ammo (ammunition). DeSomma tells DR that the suppressed Revolution is reliable with subsonic ammo. If that’s indeed the case, it would make the new gun perhaps one of the most versatile tactical AR’s on the market, in terms of multiple mission capability. DR’s been informed that the gun in the video is using a 1:10″-twist barrel, but for optimal subsonic 7.62mm NATO/.308 Win. bullet stabilization and performance out of a short barrel, DR recommends a 1:8″ barrel twist rate, based on our recent phone conversation with Dave Fricke of Lehigh Defense. Lehigh makes some really nasty rifle ammo for combat and hunting, including the new .510 Beck rounds that we just covered. We’d imagine their 7.62mm NATO/.308 Win. ammo is no slouch, either. The bullets look downright scary after they come out of the gelatin. DR also recommends at least a 12.5″ (12.5-inch) barrel for the Revolution, considering you want a 7.61mm NATO/.308 Win. carbine/SBR to be able to reach out to 1,000 yards if necessary, ideally. A 16″ barrel is even better-suited for that kind of distance, but a 12.5″ gun is a bit more versatile if you’re also conducting operations that involve dynamic CQB/CQC (Close Quarters Battle/Close Quarters Combat) gunfighting, and you want one gun that can do it all. Previous: Beck Defense .510 Beck Tactical AR Rifle/Carbine/SBR with Lancer Systems L12AWM Advanced Warfighter Magazine and ‘Controlled Chaos’ Hybrid and Nano/RDX Explosive Rounds!